Microsoft has conflicting viewpoints on how to use Xbox One's Kinect in regards to marketing research. Many potential consumers have worried over the Xbox One's Kinect -- whether it will always be on, what information will be collected, and what Microsoft will do with that information. Microsoft set out to rectify the situation, assuring people that the Xbox One was not designed with advertising in mind. However, Yusuf Mehdi, Microsoft corporate VP in marketing and strategy, delivered a speech at the Association of National Advertisers Masters of Marketing Conference in Phoenix, Arizona, contradicting Microsoft's earlier statements. In the speech, Mehdi hinted at the possibility of Xbox One user data being made available for market research. Trade publication Advertising Age published a report based on the speech over the weekend. The report said Mehdi's speech addressed possibilities in increasing consumer expectations for production values in advertising due to Xbox imaging technology. Examples included gamification of advertising and consolidating attention that is currently spread out among several technologies (games, TV, and internet). Mehdi said the Xbox One could help in understanding a consumer in the "360 degrees of their life." "We have a pretty unique position at Microsoft because of what we do with digital, as well as more and more with television because of Xbox," Mehdi said. "It's early days, but we're starting to put that together in more of a unifying way, and hopefully at some point we can start to offer that to advertisers broadly." This news comes after Albert Penello, Microsoft director of product planning, responded to questions on NeoGAF about the company's plans for advertising. 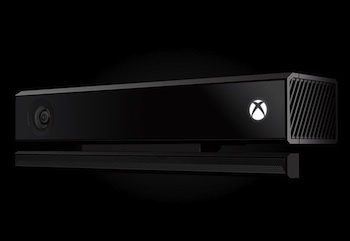 Penello said although the Xbox One Kinect features could be used for advertising, nobody was working on that. "If something like that ever happened, you can be sure it wouldn't happen without the user having control over it. Period."